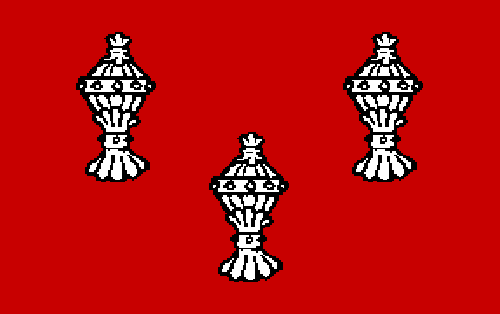 There was occurring a competition to find a new flag to the city of York. Unfortunately, the competition was cancelled after I completed my design. I'll present it now instead of leaving it unknown. York is a walled city, with six gates (called "bars"). 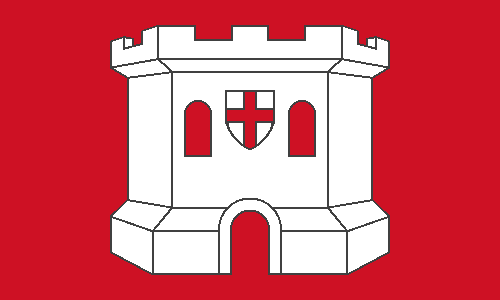 This flag depict a generic bar under a red background, that represents the heroic history of the city, that include the Siege of York, the Peasant's Revolt and the First War of Scotland Independence. All the bars of York have the city coat of arms in it (see an example), here simplified to a simple St. George cross, that represents the vital importance of the city (what includes the seat of the Primate of England), sometimes claimed by historians as the "second city of England" or "the capital of Northern England". 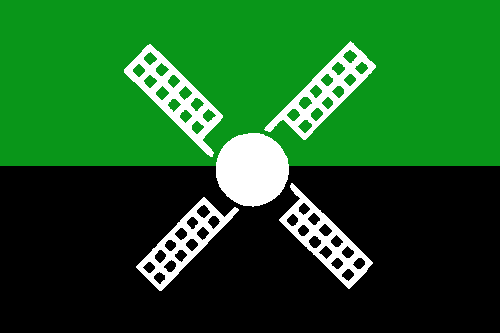 I don't claim copyright on my York design, so feel free to use it. 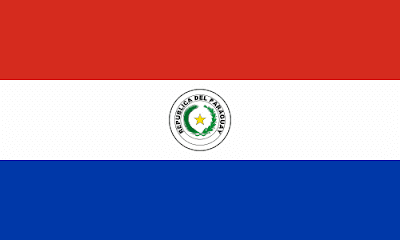 Paraguay changed its flag recently, but it past on media without great sound. Actually, it wasn't a radical change: the country only changed its seal, that appears on the flag, to a more "retro" look, based on the design introduced in the 1840s. I didn't like the change. The previous seal was much more colorful and stylistically superior, the current one seems unfinished, and the star, the branch, the lion are all smaller. 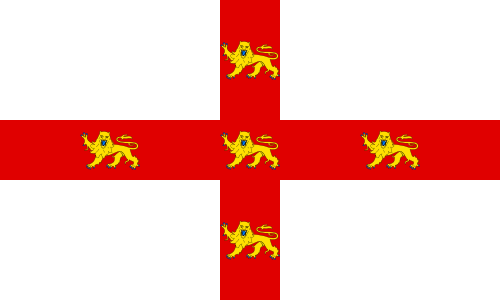 Many heraldic corrections were reverted, as the yellow star is in a white background (what doesn't give enough contrast) and the lion is facing the right for no apparent reason. 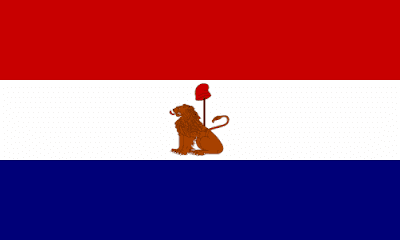 I propose a deeper change, firstly turning the flag one-sided like every other flag in the world. How? Keeping the design independent from the seal. If I had to choose one side to new flag, it would be the reverse, much more impacting than the obverse. I'll remove all writing as well. 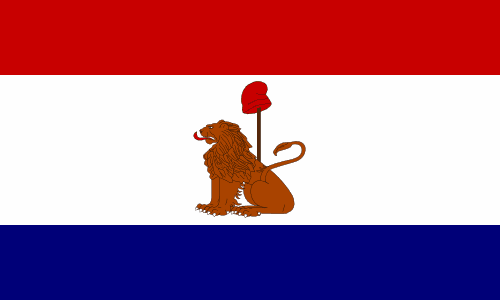 I prefer the phrygian cap facing the opposite side of the lion, but it's a very personal taste, that could be changed if this flag was really adopted. To increase the impact of the lion and the phrygian cap, nice symbols to a republic, I'd change the stripes ratio to 1:2:1 (the so-called "Spanish fess"). 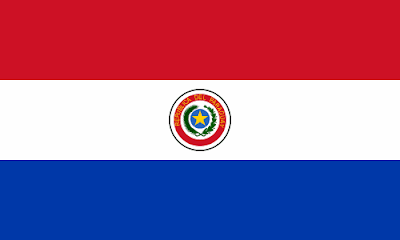 I think that Paraguayans could be proud about it. For the regular readers of the blog, I'd suggest to subscribe to it. This way, you can know when and what are the new releases. These days I was thinking "what flag do the supporters carry to Harlem Globetrotters exhibitions?". Probably, flags (including derivatives) of USA, New York state and city, some fan flags, but not a flag of Harlem. 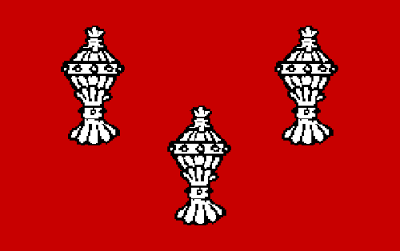 Because Harlem, as far as I know, don't have its own flag. The Harlem neighborhood is internationally famous for its importance in African-American cultural scenario, including the "Harlem Renaissance" in the 1920s and 1930s. I would seek a flag that represent the importance of Harlem for African-Americans and the importance of African-Americans for Harlem but that wasn't as potentially divisive as, for example, the Hammons flag that fly on the neighborhood. 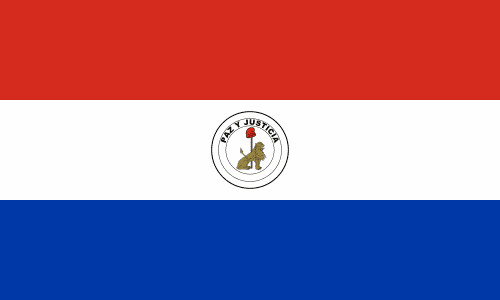 The blue and orange stripes come from the flag of New York, and represent the fact that Harlem was originally founded by Dutch as Nieuw Haarlem. The black color represent the importance of the neighborhood for the African-American cultural scenario, but also the hard moments, like the 1964 Harlem Riot and the Great Depression. The stars come from the flag of Haarlem, the Dutch city from where the neighborhood gained its name, but also the religiosity of its inhabitants and the hope that the good old days will return. 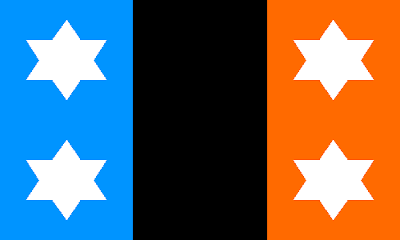 If you have any suggestion about how a Harlem flag should look like, I'm glad to listen. The city of Ayer, in Massachusetts, USA, is holding a competition to design its new flag. The submissions should be sent by letters, so I probably won't do an entry. However, I'll do this post to spread the contest. There isn't much thing to be took on a possible design. 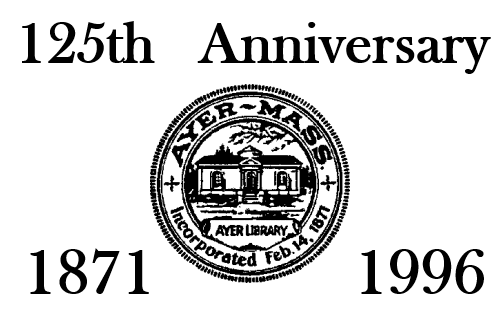 It's a simple seal-on-bedsheet design, and there's nothing much special on the seal, only a depiction of the town's library. The charge on the center of the flag is the mill that represents the foundation of the community that would originate the city. Green stands to the early agricole activity and to the Fort Devens, fort used by US Army (that uses green uniforms) to train soldiers to WW1 and WW2, and many more, closed in 1994. Black stands for the role of the railroads on the development of the town and to the current industries of the city. If you want to submit yourself any of my designs I presented there, contact me via comment box. Belo Horizonte (a.k.a. "BH") was planned to be the capital of the second most populous and thrid richest state of Brazil, Minas Gerais, and, after a fast growth, is currently the 6th largest city in the country by population. This coat of arms is very significant: the golden chief with a red triangle is reminiscent of current state flag, itself reminiscent of the flag used in one of biggest colonial revolts in Brazilian history. The bottom has a horizon, as "belo horizonte" means "beautiful horizon" in Portuguese, and depicts the local landscape. 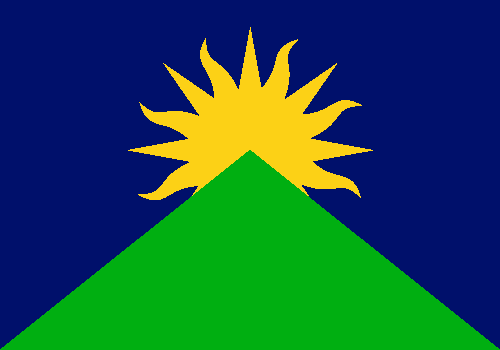 The flag depicts the "beautiful horizon" but has some more incidental meanings: the green triangle was present in a famous reconstruction of Minas Gerais Conspiracy flag (for some time, versions with green and red triangles coexisted in unofficial usage). This flag has the colors of Brazilian flag. 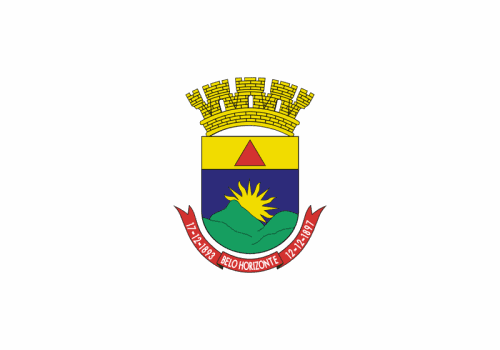 Possibly similar to Rondônia flag, but I think it's not an issue, as the city and the state are separated by thousand miles. People from "BH" may like this design. 10,000 views only on this blog! Much thanks for the viewers, again.